Whether you have it for personal or commercial use, there’s no denying that your coffee machine is probably one of the most used- and relied on- appliances you own. That’s why you want to make sure it’s kept in the best condition possible, avoiding any problems or faults that come with overuse and underservicing. Here at the Espresso Doctor, we are experienced in Delonghi coffee machine repairs, understanding the specific care and parts needed to make this fantastic brand of equipment run smoothly. This expertise and penchant for providing seamless solutions is what makes business owners and coffee fanatics all across Brisbane trust us to keep their equipment in peak condition. Like many of our clients, we too have a passion for coffee and love playing a role in the creation of something that so many people enjoy every day. This is why we are committed to providing comprehensive Delonghi machine service and repair solutions throughout Brisbane. We are known as the experts to call when your equipment isn’t working to its peak performance. Our customer-focused service and expertise allows us to create seamless, efficient results for people who simply cannot afford to have their equipment out of action for days or weeks on end. This is what sets our machine repairs apart from the rest- we understand what you need and work to ensure that you are satisfied with the results each and every time. When you rely on your coffee machine every day- whether it’s for your business or simply for your morning wake up ritual- it is imperative that you take care of the equipment to ensure you get the most out of it long-term. At Espresso Doctor, we recommend that our clients regularly organise a coffee machine service for their Delonghi equipment so that we can determine if any parts needs replacing, cleaning or maintaining in order to keep functioning in the way it’s meant to. Just like your car, this equipment needs a certain manner of upkeep in order to continue brewing quality product that your family, customers or employees love. 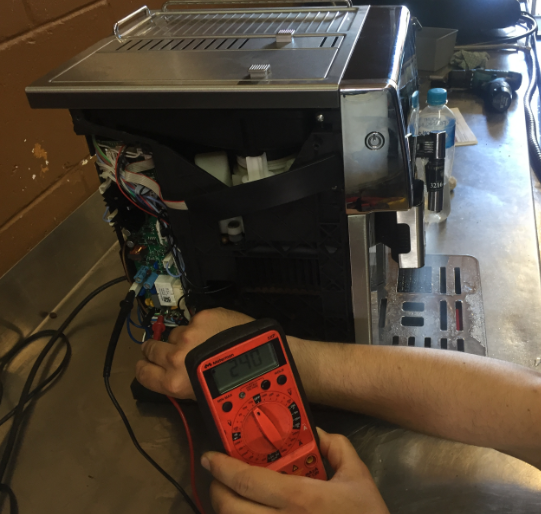 If you are looking for machine repairs in the Brisbane area, call the Espresso Doctor today on 0402 790 790 for more information and bookings.